The weather was fabulous, if a little windy, and everyone had a wonderful time! The Greek food was a hit, as were the gourmet popsicles (the Mojito flavor was especially popular). The hounds were drooling over the birthday cake by Three Dog Bakery. Everyone went home with a fabulous goodie bag filled with training bells, poop bags and holder, Pet Supplies Plus coupon, and a GALT pen. The fenced in area was the scene of many zoomies. 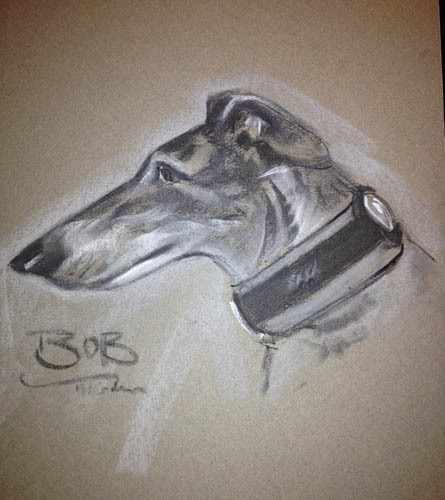 Mary Beth Gibson was kept busy working on fabulous charcoal portraits. And Holly's Brother 2 Bother table was hopping! Many a bargain find was found at the GreytStore, and the new shirt design was popular too. 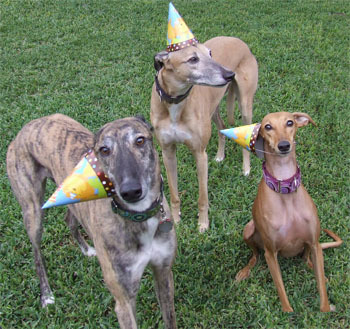 The Greyhound Spa shortened many a greyhound nail. And there was quite the competition going for the raffle items, including the lovely t-shirt quilt made by Rose Kreller. Your hard work and dedication make everything possible! Pictures by Mark of Shagly Photography can be seen here. Prints are available for purchase.